Since I get kind of wordy on Saturdays, I often take the time to work on my book or write something else and today I'll be doing just that. As you can see from the photo above, I have all of my little nerd goodies ready to go ;-) I write on my laptop, but often I write bits and pieces out by hand. I like the feel of the pen in my hand while I scribble across the page. I'm a little bit old school and a teeny little bit techy. I have various pens because each has a certain feel and I'm a bit of a pen nerd too so...Lol. 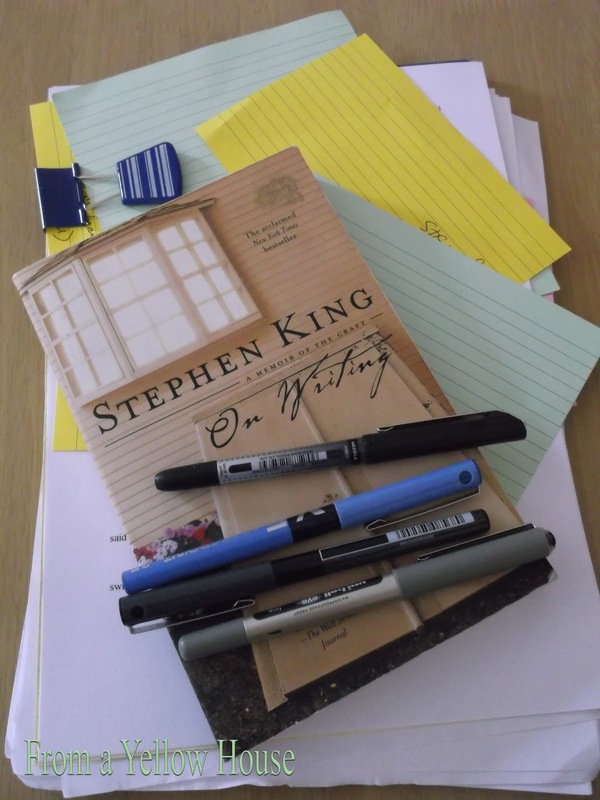 I'm going to be doing a little bit of reading along with writing today and I'm calling on Stephen King's expertise for some inspiration. I've had this book for years and I refer back to it again and again. It's part memoir and part writing guide. I highly recommend it to anyone who is interested in writing or for anyone who enjoys Stephen King's work. It's a great read.